Mason Molique was our OMEGA Processing Offensive Player of the Game as Ryle beat Cooper 49-20 in the 2nd round of the State Playoffs. The Sophomore Kicker was 7-7 for PAT's in the game, and is 94-96 overal the past 2 years. Molique is also 18-21 for field goals in his career thus far. 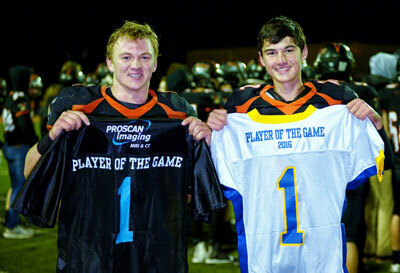 Jackson High was our ProScan Imaging Defensive Player of the Game as the Junior LB had 17 tackles, a pass deflection, and a fumble recovery for a TD.